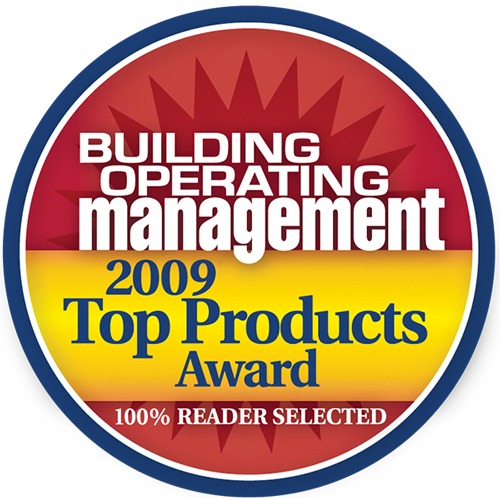 Reliable Controls is very pleased to announce that Building Operating Management magazine has honored the MACH-ProCom™ with the publication's 2009 Top Products Award. The Top Products Awards recognize the most popular manufacturers and suppliers of the year, as determined by building and facility executives who sought further information about the products when they appeared on the facilitiesnet.com website. For the past fourteen years, Building Operating Management has led the industry as the preferred source of information for building owners and facility executives. With a circulation of over 70,000, Building Operating Management has been rated by two independent research firms as the number one magazine in the HVAC industry for ad pages, reader loyalty, new product specs, and useful content on energy and sustainablility.